Porcelain is used to create some of the world’s most beautiful, versatile and fragile ceramics. It has traditionally been used to create the finest dinner and tea services as it can be richly decorated and can withstand high temperatures. It can also be used to make far less traditional forms. This exhibition explores the use of porcelain and bone china in modern and contemporary ceramics. 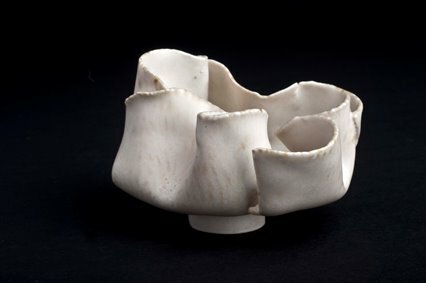 It includes modern classics by Edmund de Waal, Lucie Rie, and Bernard Leach, alongside more contemporary work by Sue Paraskeva, Sun Kim, Yoshikawa Masamichi and Fenella Elms.